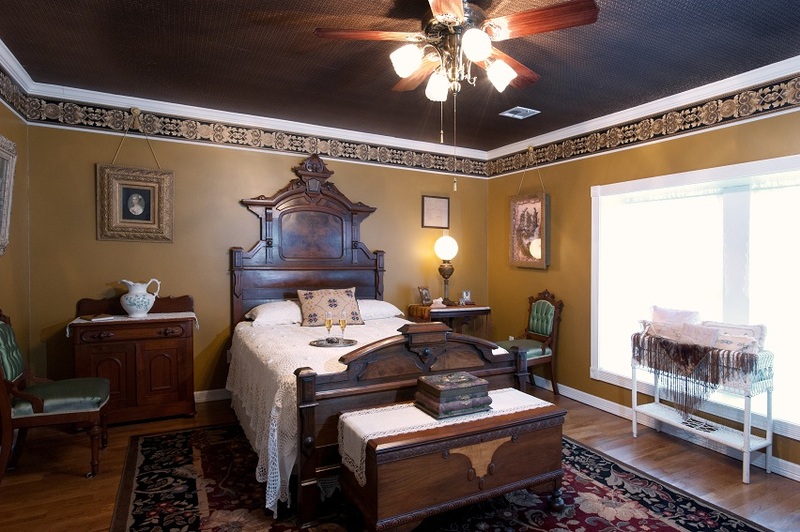 Our guest rooms offer a rich and elegant Victorian escape. 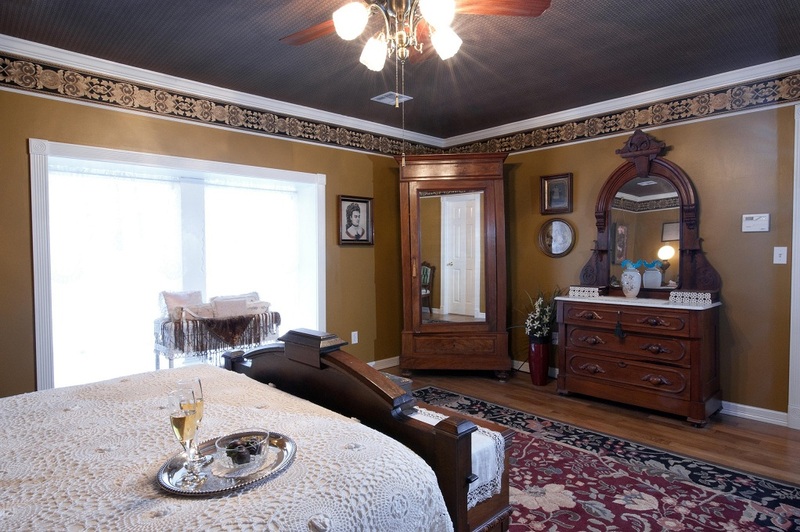 All guest rooms are uniquely furnished and decorated with authentic Victorian antiques and decor with accommodating ceiling fan, closet, alarm clock, and central heat/air conditioning. 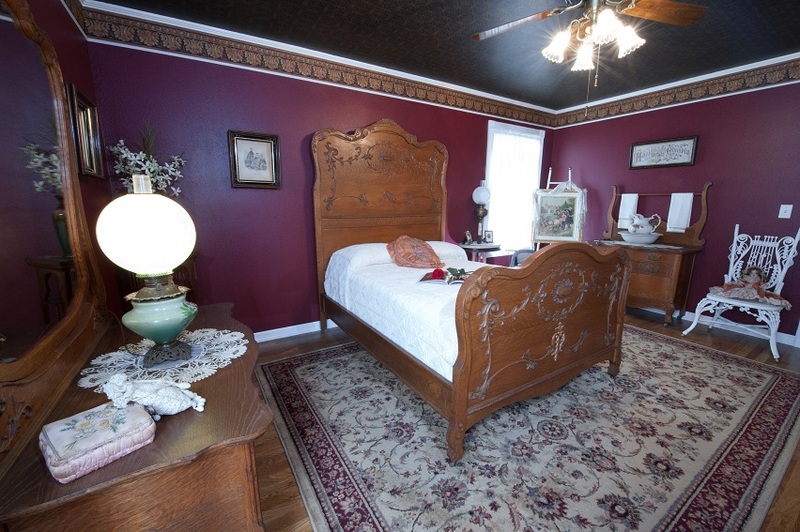 The Victoria Suite is a sizeable room located on the second floor at the front of the Inn. This stately suite is embellished in shades of rich gold tones and features a Renaissance Revival walnut queen-size bed with European pillow-top, marble top dresser and washstand, bedside table & lamp, chairs, and an armoire. The armoire holds a flat-panel LCD television (digital cable with HD, movie & music channels) and DVD player. The en suite bath features double sinks, jetted tub for two, spa amenities, and a separate shower. 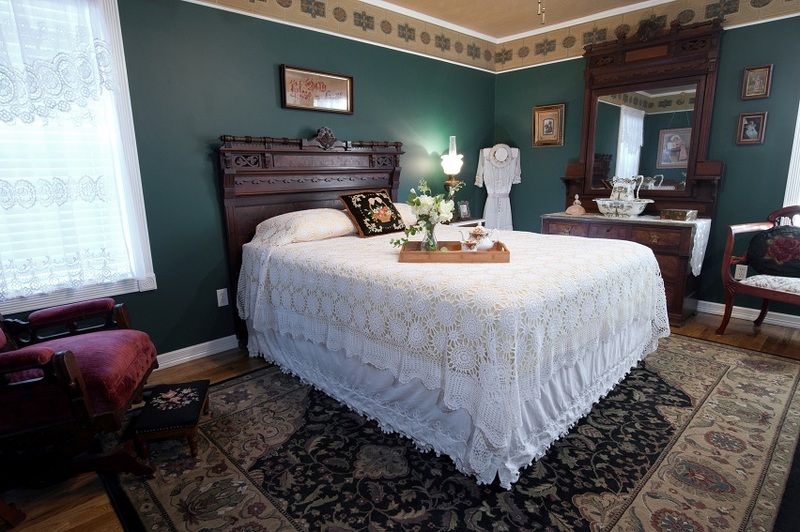 The Josephine Room is a spacious room located on the second floor at the rear of the Inn with a view of the Victorian perennial garden. 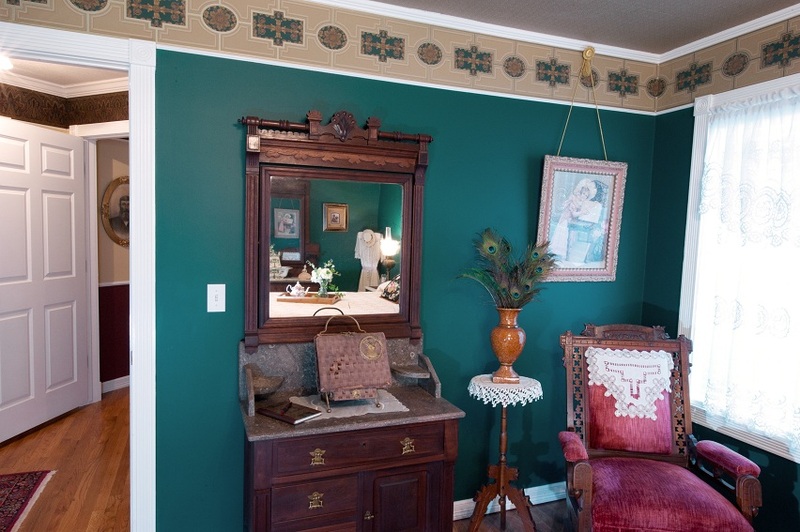 This elegant room is decorated in hues of dark teal and gold and features a three-piece Eastlake walnut queen-size bed with European pillow-top, marble top dresser and washstand, bedside table & lamp, upholstered rocker, bustle chair, and an armoire. The armoire holds a flat-panel HD-LCD television (cable) with CD and DVD players. A en suite private bath features a shower/tub combination. The Isabella Room is located on the second floor at the rear of the Inn overlooking the Victorian perennial garden. 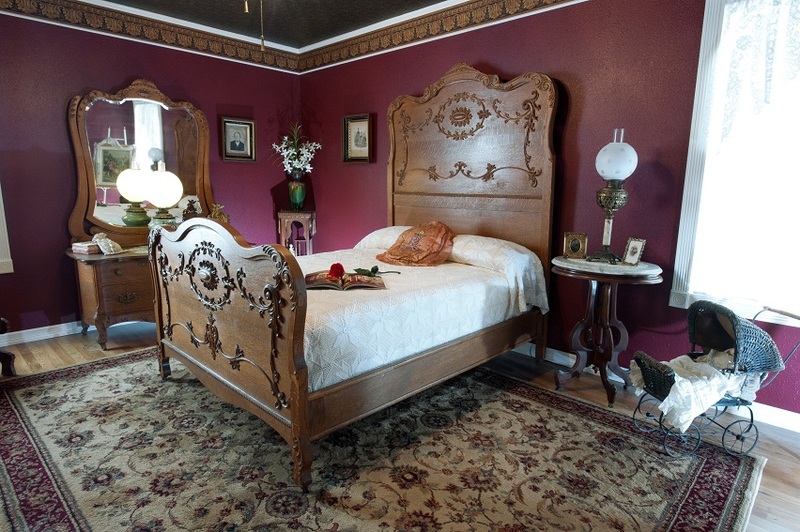 This charming room is graced with the rich shades of cranberry and gold and features a three-piece Golden Oak high back full-size bed, dresser, and washstand, bedside table & lamp, upholstered rocker, and wicker chair. 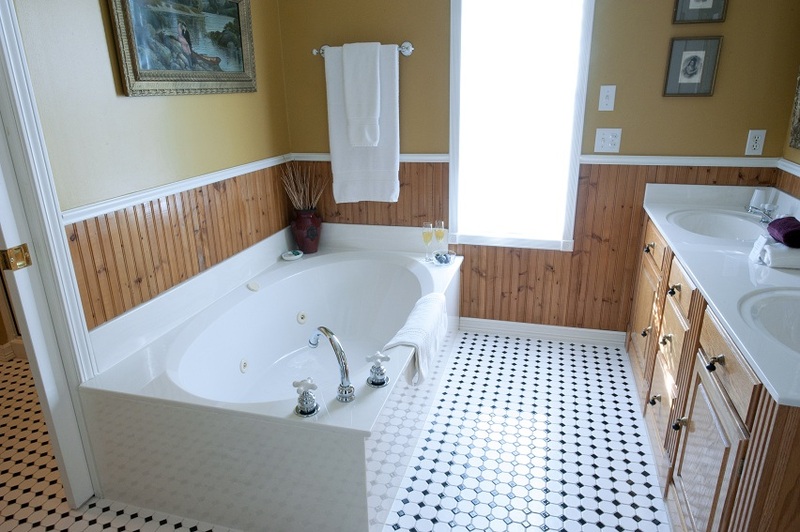 A en suite private bath features a shower/tub combination.